Varun Dhawan, Arjun Kapoor and Jacqueline Fernandez outside Anil Kapoor's home. The Kapoor household is resonating with all awesome Bollywood tracks as Sonam Kapoor's family preps for her sangeet. Some videos shared by fan clubs give a glimpse of the ongoing preparations, in which the Kapoor cousins and Sonam's friends (such as Jacqueline Fernandez, Aarti Shetty and Kunal Rawal) are lined up for practice sessions. The Ahujas will get a grand welcome for sure because Kapoors "Sawag Se Karenge Sabka Swaagat." 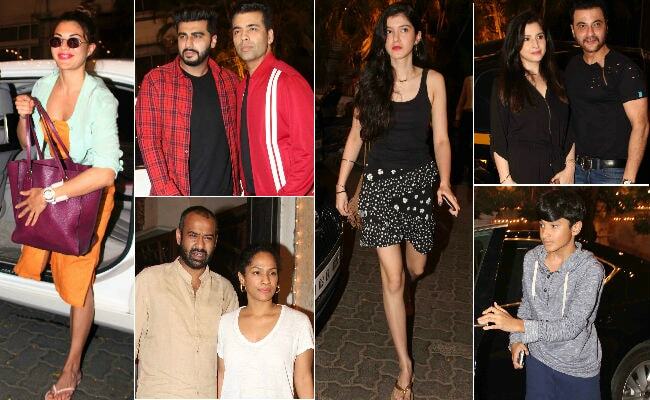 On Friday night, Varun Dhawan, Jacqueline Fernandez and other celebrities (a mix of family and friends) were spotted at Anil Kapoor's dazzling Mumbai bungalow, which is gearing up for what can arguably be called the biggest Bollywood wedding of 2018. We could spot Anshula, Shanaya and Jahaan (children of Sanjay and Maheep Kapoor) in the video but not Janhvi or Khushi Kapoor. As per a mid-day report Janhvi, who is gearing up for her Bollywood debut come July, will perform to a medley of her mother Sridevi's songs, which will include Mere Haathon Me Mein nau Nau Choodiyan Hai. Apart from that Ranveer Singh (Sonam's maternal cousin) and Arjun Kapoor are dancing to Anil Kapoor's My Name Is Lakhan. 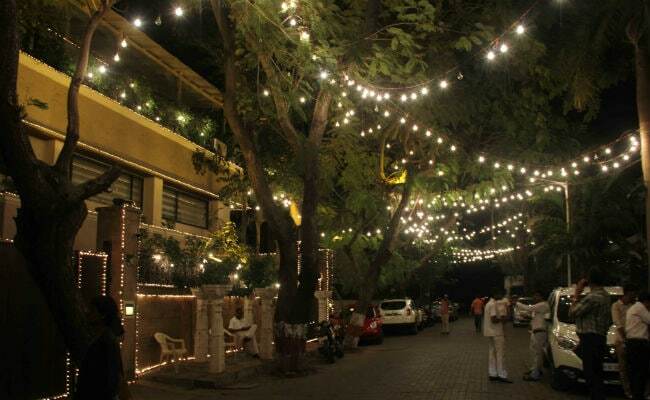 The exteriors of Anil Kapoor's bungalow. While the dance preparations were in full swing, the paparazzi spotted Sonam Kapoor with Anand Ahuja in Bandra. Sonam looked radiant dressed in a Masaba saree. Sonam Kapoor is getting married to Anand Ahuja on May 8 as per Sikh traditions. A grand reception for the newly-weds will be hosted later in the day. Before the wedding the Kapoors and Ahujas have invited their guests for a mehendi function on May 7.